The long awaited moment has finally arrived. 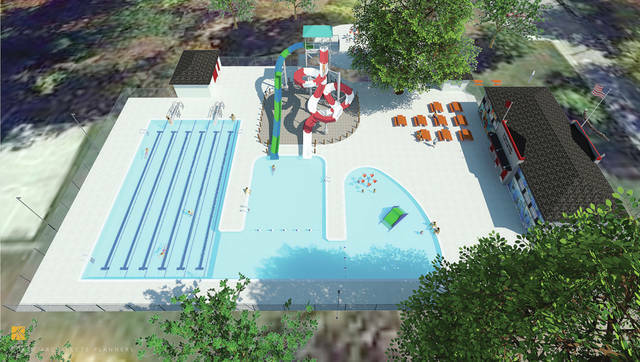 The City of Wauseon once again has a public pool with a grand opening slated for Monday. The opening will be at 1 p.m. in Reighard Park with free admission on opening day. The pool will be open Sunday through Friday for open swimming from 1-8 p.m. Lap swimming will be from 8-9 p.m. On Saturday, open swim is 1-7:30 p.m. After that is reserved for parties. Daily admission is $3 per person. Season passes will be available for purchase at the pool. An individual season pass is $60 for City of Wauseon residents, with a cost of $75 for those outside the city limits. Family passes are $125 for those inside the city limits and $175 for those outside the city limits.